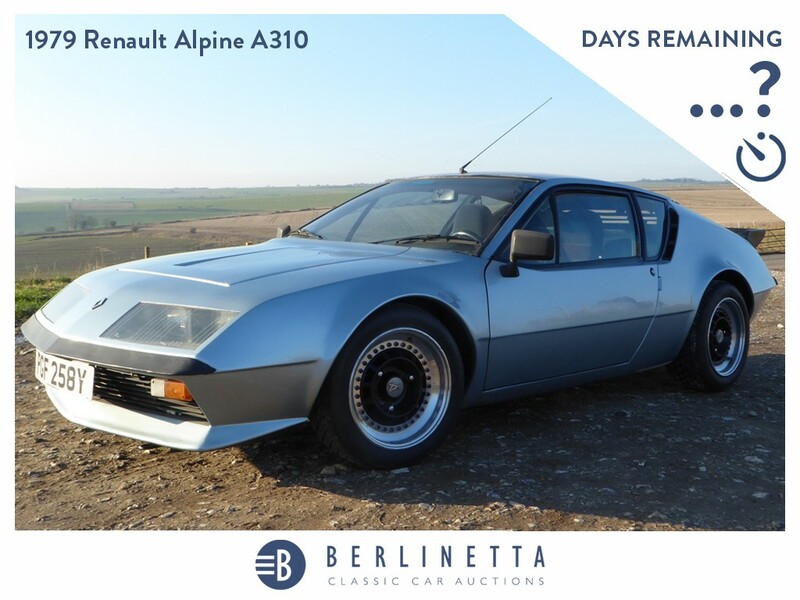 Berlinetta Classic Car Auctions, established in 2016 and known for their innovative approach to the classic car auction business, are introducing a new format of timed online car sale. ‘Berlinetta Weekly’ sales, which launch in late January, will feature a selection of high quality classics each week. ‘Our team have bought and sold classic cars both privately and at auction for a number of years, and always felt there was something missing’ states Pete Thornton, MD at Berlinetta CCA. ‘The traditional auction process can be soulless and risky – something we are already addressing via our ‘try before you buy’ facility at our physical auctions – but a private sale can also be hard work both for buyer and seller, and lacks the focus that a timed auction brings to the process. We’ve all had our time wasted by ‘no show buyers’, dreamers and tyre-kickers. Berlinetta is about changing the way these transactions function, and making a classic car sale more enjoyable and straightforward for both buyer and seller alike’. These new weekly sales will be hosted on the Berlinetta website, with detailed catalogue descriptions and photo galleries to the high standard now expected by Berlinetta customers. Like a standard online auction, a Berlinetta Weekly sale lasts a limited time. Unlike a standard online auction, the car benefits from Berlinetta’s significant use of the classic car press – each car is extensively marketed online as well as being promoted via their fast-growing subscriber base, giving sellers every opportunity to find the right buyer. Berlinetta pledges that no classic car for sale in the UK will enjoy greater online exposure than through their Berlinetta Weekly sales. Each sale runs for 7 days and prospective buyers are encouraged to view the car (at the seller’s location), just like a private sale. Bidding is simple and secure, registration is free and as the timer ticks down at the end of the sale, last minute sniping is eliminated as any bidding activity in the final two minutes of the auction adds another two minutes onto the clock. 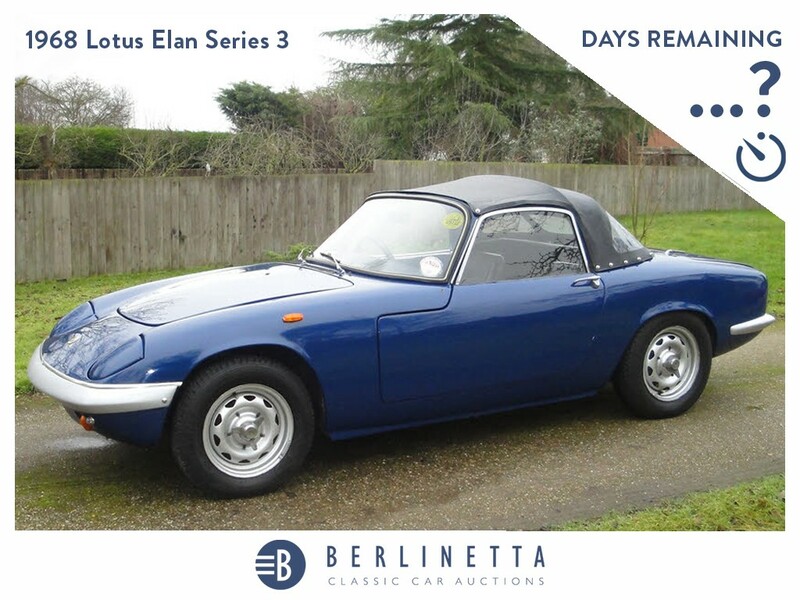 For sellers, there’s no waiting period or potentially costly logistics involved in moving the car to an auction hall – if the team are contacted on a Monday they can have that car listed on the site by Wednesday and sold just a week later. The first two vehicles to be offered by Berlinetta CCA in the new Weekly format will be a Renault Alpine A610 and Lotus Elan Series 3, both desirable classic cars. 1979 Renault Alpine A310 Recently restored V6 engine Replacement chassis Original paint, interior needs re-trimming and finishing. A fantastic and rewarding project to complete.